I don’t recognise the woman who hid these shoes. Magnificent aren't they? Actually, scrap that, I'm telling you I think they are magnificent. And that's an important distinction. 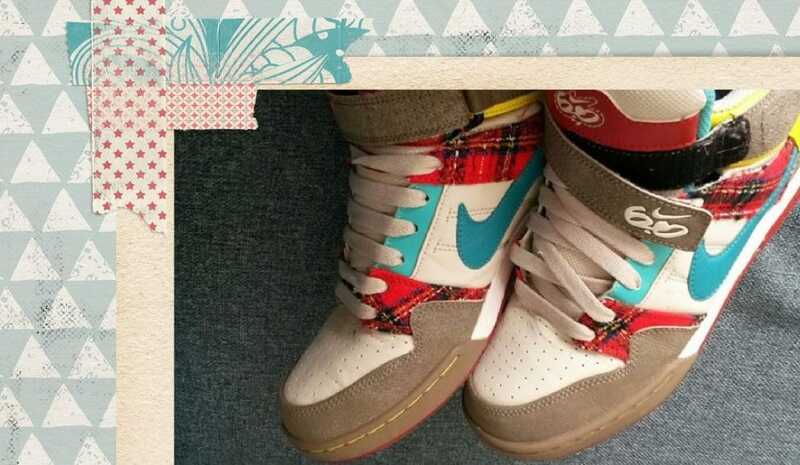 These are a pair of Nike Air 6.0 mid-tops circa 2010 in mint condition. They are in mint condition because for 6 years I was too embarrassed to wear them. I loved these puppies with every toe on my feet from the moment I first gently caressed their soft tartan trim. I even wore them a few times. And then one day a friend of mine absolutely ripped me about them. ‘WHAT THE HELL ARE THOSE' she shrieked, adding a loud sqwaky laugh for emphasis. I was consumed with shoe shame and I hid these beauties in a box under my bed and forgot about them. Until last Summer when I found them again. And fell in love with them all over again. And I've worn them every chance I've had ever since. Today, as I headed out on the school run wearing my climbing leggings, Superman hoodie and these trainers, I had a flashback of my shoe shame and wondered to myself ‘who was that woman'. How could I have ever been so affected by what other people thought? How could she hide away something she loved, just to avoid ridicule? I'm tougher now, and I didn't even notice the transformation taking place. How did I get to be so tough? By building my business. And then dismantling it and starting over and building another business. And having stones thrown at me by people too scared to do this themselves. And having to learn how to do 1000 new things, and failing at them over and over again. And I've realized, I'm not just building a business. I'm rebuilding myself. 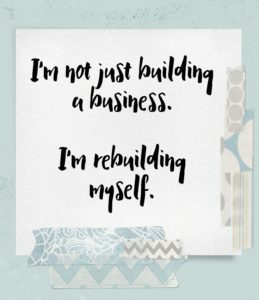 I'm not just building a business, I'm rebuilding myself.